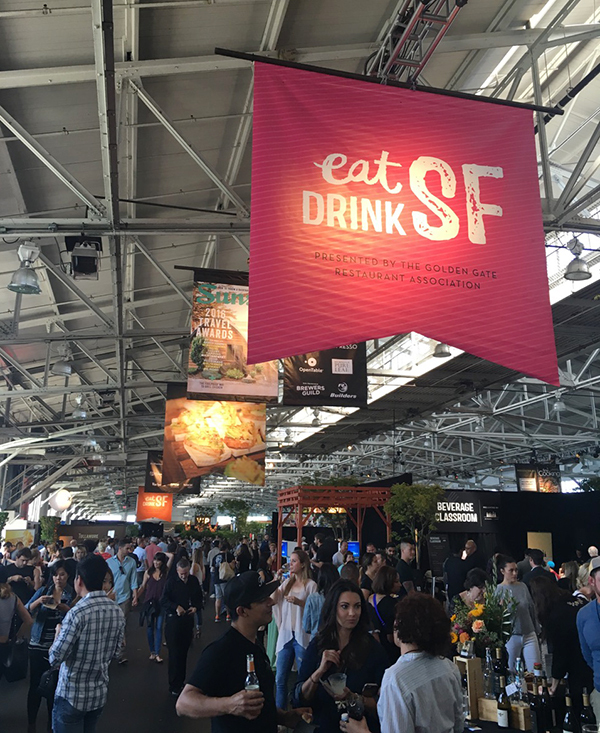 It was a tasty scene for fans of food, wine, beer and spirits August 25 – 28, 2016 at Eat Drink SF. The event was held at Fort Mason in San Francisco. Andy and I attended on the last day of the event on a Sunday afternoon and were introduced to some restaurants we had never tried, as well as a few new wines. 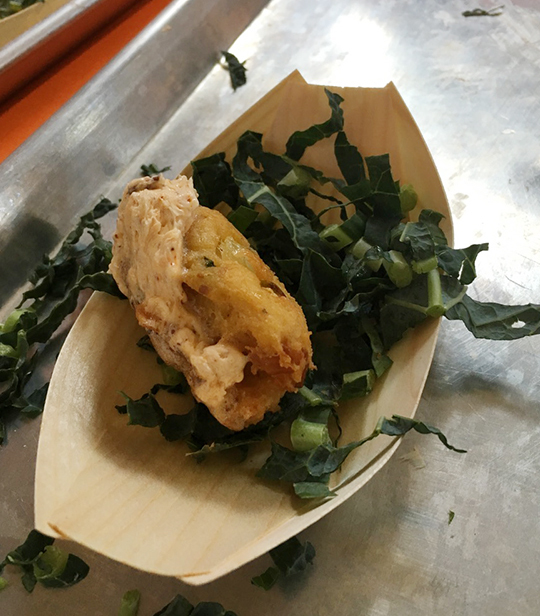 There were also some familiar vendors, as Sunday was the “Legacy Grand Tasting” featuring San Francisco eateries that have stood the test of time. 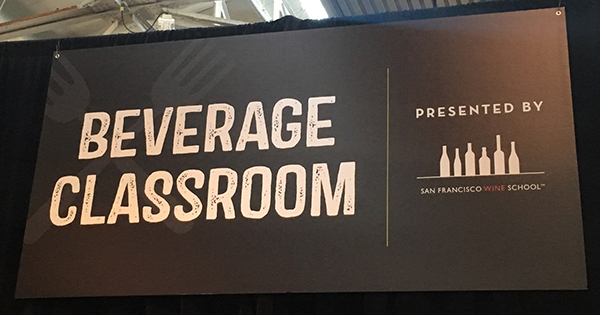 Almost immediately after we arrived, we heard about a “beverage classroom” presented by San Francisco Wine School. The first presentation was on the Wines of Portugal. It was officially titled ViniPortugal. Since we are always looking to broaden our knowledge of wine, we decided to sit in on the seminar & tasting. 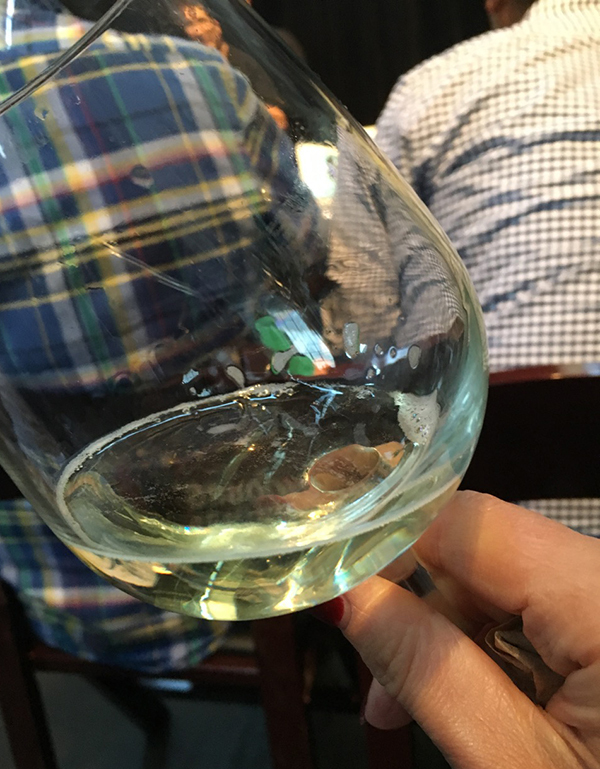 It was led by the founder of San Francisco Wine School, David Glancy. Glancy is one of only twelve people in the world to hold both the revered Master Sommelier diploma and a Certified Wine Educator credential. 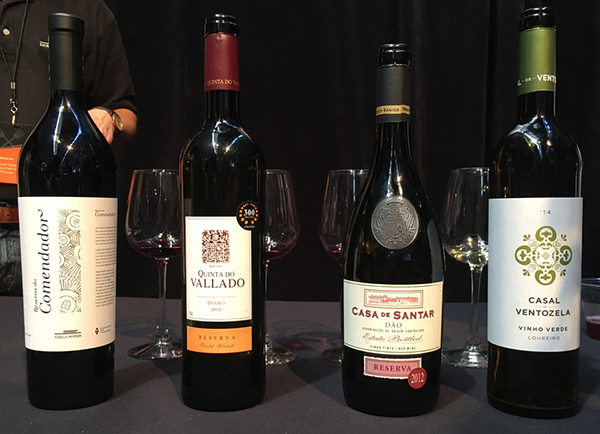 In the brief seminar, we discussed 4 wines from Portugal, tasted and examined them. 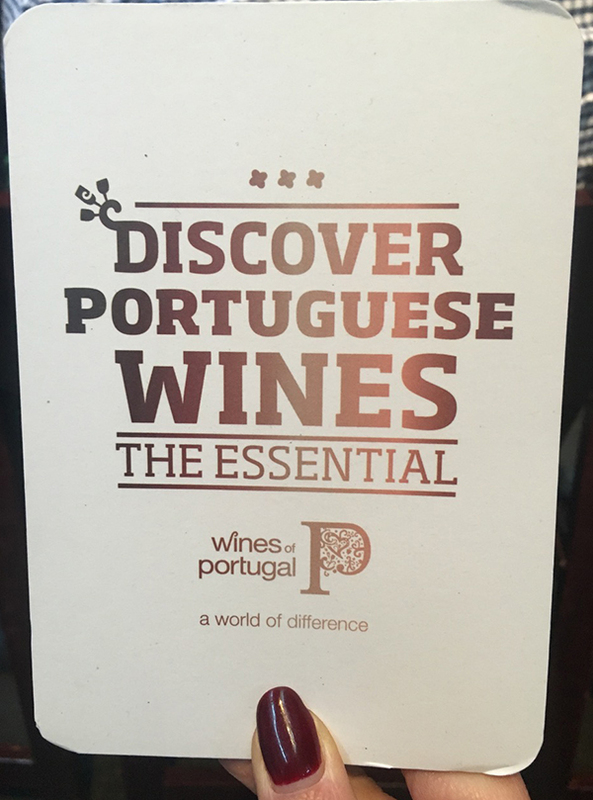 The tasting was a very worthwhile experience, and a chance to get to know a little bit more on the wines of Portugal as well as a little bit about the San Francisco Wine School, which currently offers 65 different wine education classes. 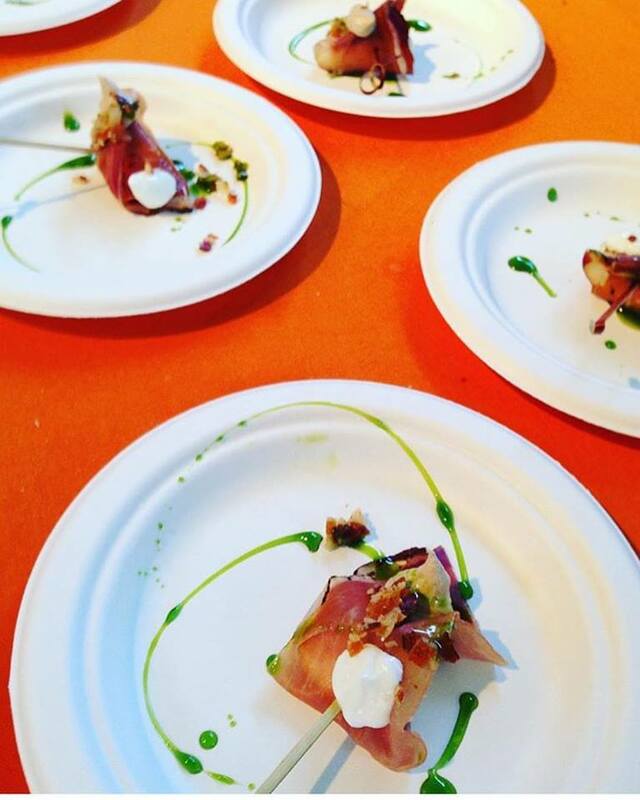 Nectarines wrapped in speck from Tosca Cafe. A caprese salad on a stick. A cod fritter served on greens. 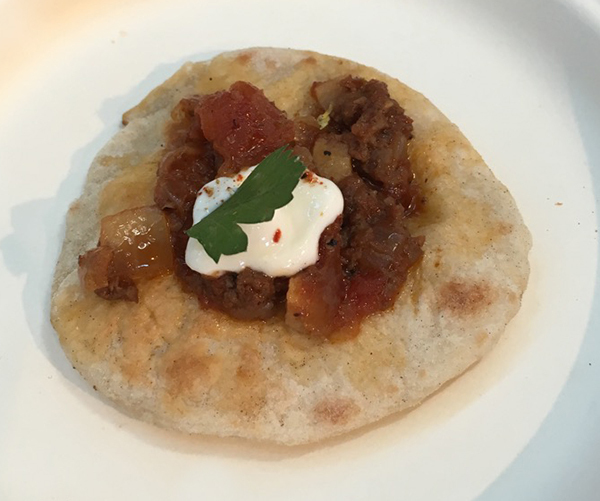 This Lahmbiajeen (Arabic for “Meat in Dough”) It is fresh baked flatbread with housemade tomato beef sauce, labneh parsley and lemon zest from Reem’s. And my food favorite item was this pintxo from Teleferic Barcelona. Pintxo is a Basque word that means “skewer.” This particular pintxo is called a Torito (bull). 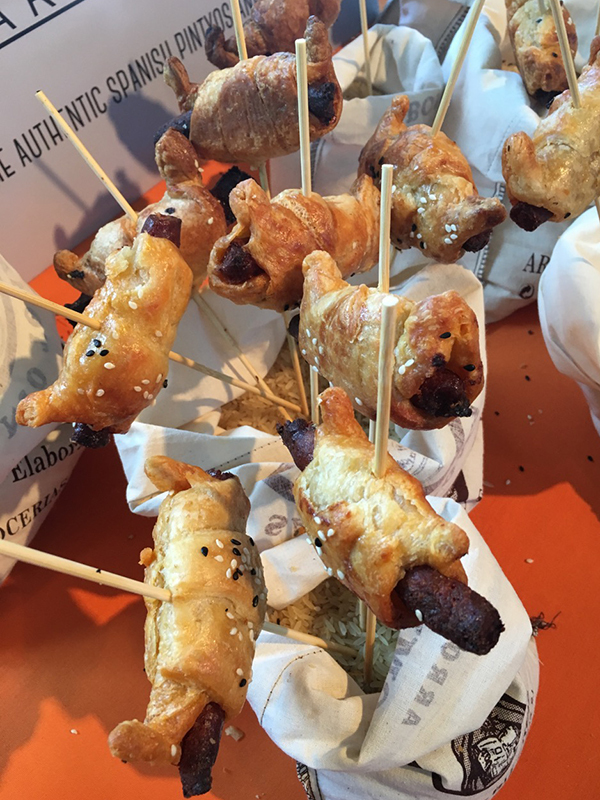 It has xistorra (spanish chorizo), natural honey and manchego cheese and it is wrapped in puff pastry with dulce de leche. This smoked salmon bite was Scoma’s featured dish, and a favorite of Andy’s. Now, back to drinking. There was much to choose from. We didn’t taste any beer, but if you are a beer or cider lover, Stella Artois, Stella Artois Cidre (that IS how it is spelled), and Gowan’s Heirloom Cider had you covered. 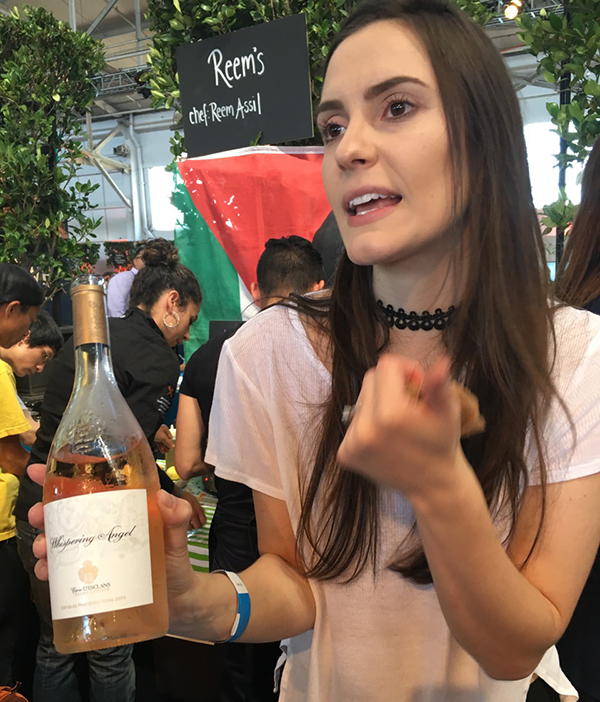 One of the beverage highlights for me was this Whispering Angel Rose made primarily from Grenache, Vermentino, and Cinsault. A big reason I am a rose fan is because it is a wine that can pair with many different kinds of food. 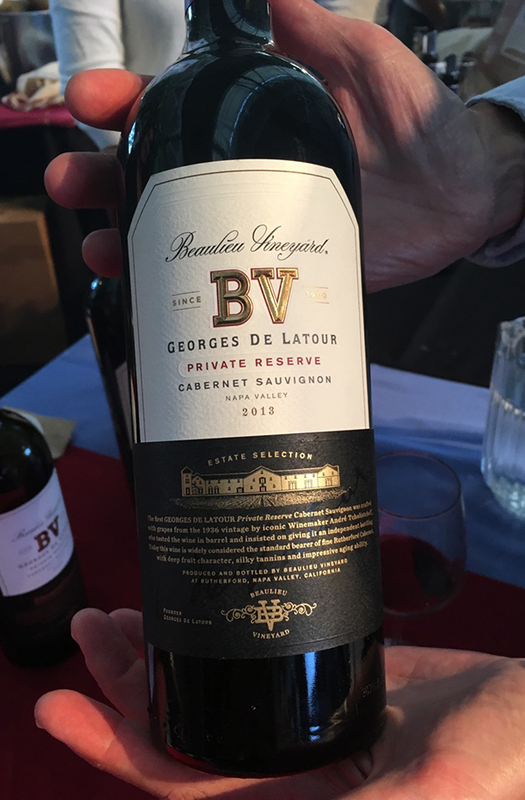 Beaulieu Vineyards was at the event pouring both their classic Tapestry (a Bordeaux blend) and the Georges De Latour Private Reserve Cabernet Sauvignon. It was a treat to taste these wines, because we know their retail value. Tapestry is around $50 and the Georges De Latour is around $100 per bottle. I actually buy Andy a bottle of the Tapestry as one of his Christmas gifts every year. 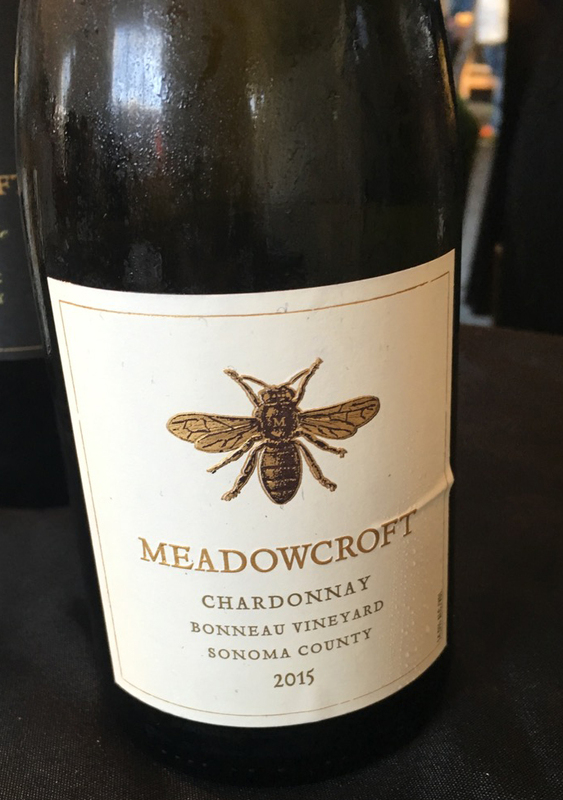 Meadowcroft Wines was sharing this lovely chardonnay with us. The grapes are sourced from the Bonneau Vineyard (in the Carneros appellation of Sonoma County). 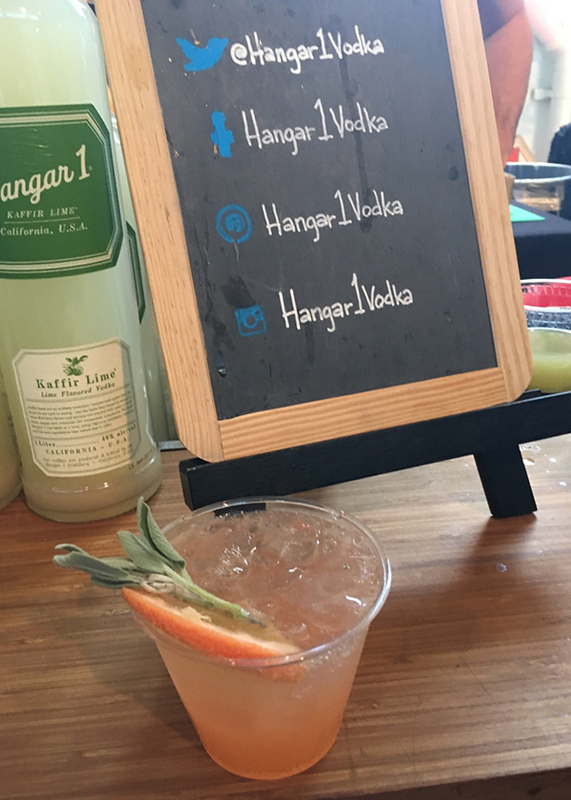 There were also cocktails featured at Eat Drink SF, and my favorite was this one at the Hangar Vodka booth. It is a combination of grapefruit, elderflower, sage and sparkling wine. I liked the drink so much, I will admit I had two of them. And I am going to buy the ingredients so I can make it for myself at home. 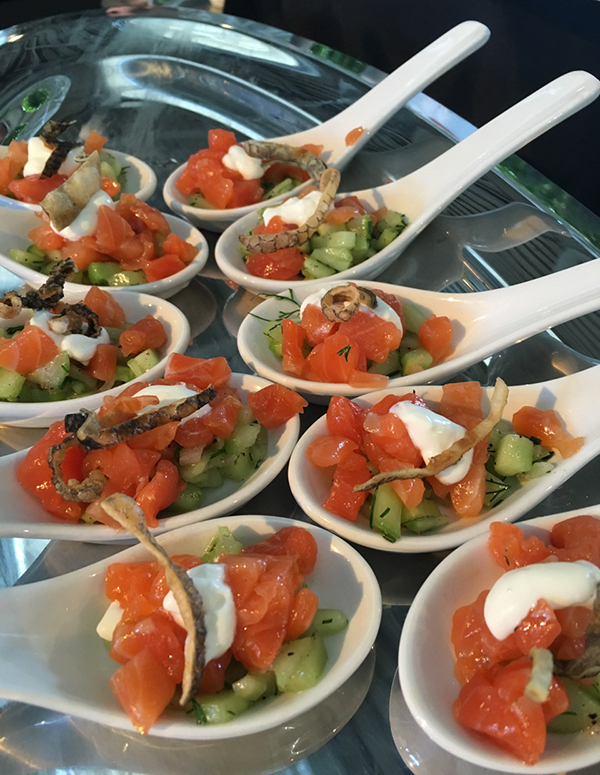 I love the inspiration I get at tasting events like these and the enthusiasm I see from all the chefs, sous chefs, cooks, bartenders, and tasting room associates. 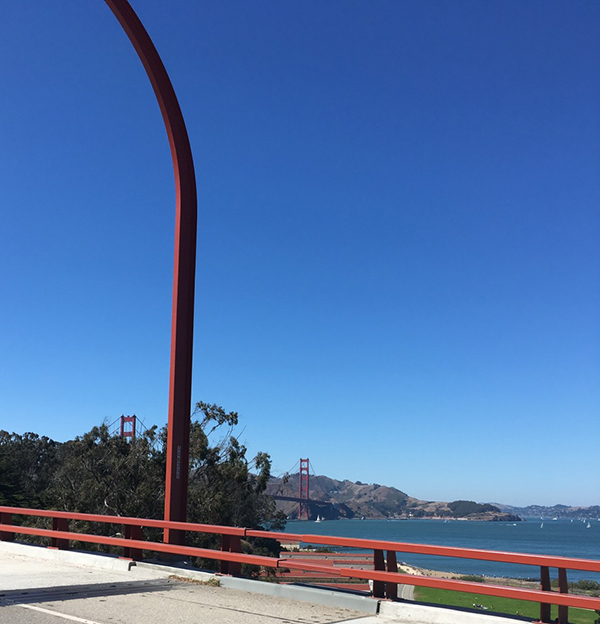 It’s a joy to have another excuse to come into the city and visit Fort Mason and drive over the Golden Gate Bridge. I only wished we could stay a little longer! Eat Drink SF supports the Golden Gate Restaurant Association Scholarship Foundation. The foundation grants financial scholarships to students from the Bay Area entering culinary and hospitality programs. Golden Gate Restaurant Association‘s mission is to celebrate and empower the restaurant community through advocacy, education, marketing, events and training. To see more images from the event, you can head over to their Flickr page here. This entry was posted on September 11, 2016 by cavegrrl. 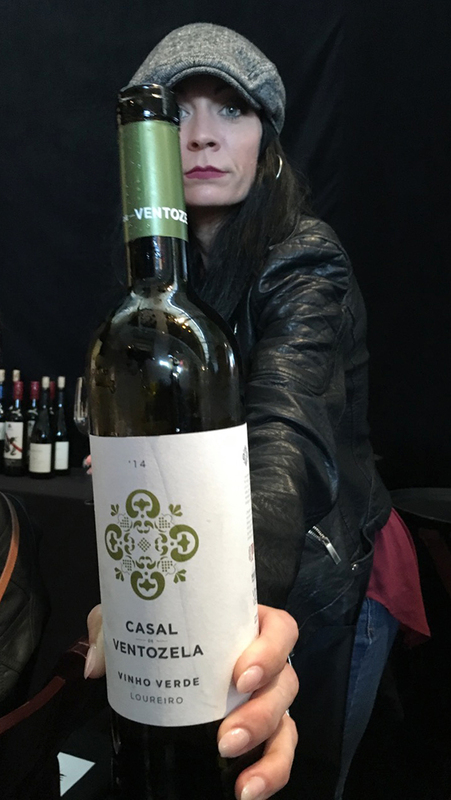 It was filed under events, food, restaurant, wine, wine tasting and was tagged with Beaulieu Vineyard, beer, Eat Drink Sf, food, Fort Mason, Golden Gate Restaurant Association, Meadowcroft, Reems California, San Francisco Wine School, Scoma’s, spirits, Teleferic Barcelona, wine, Wines of Portugal.